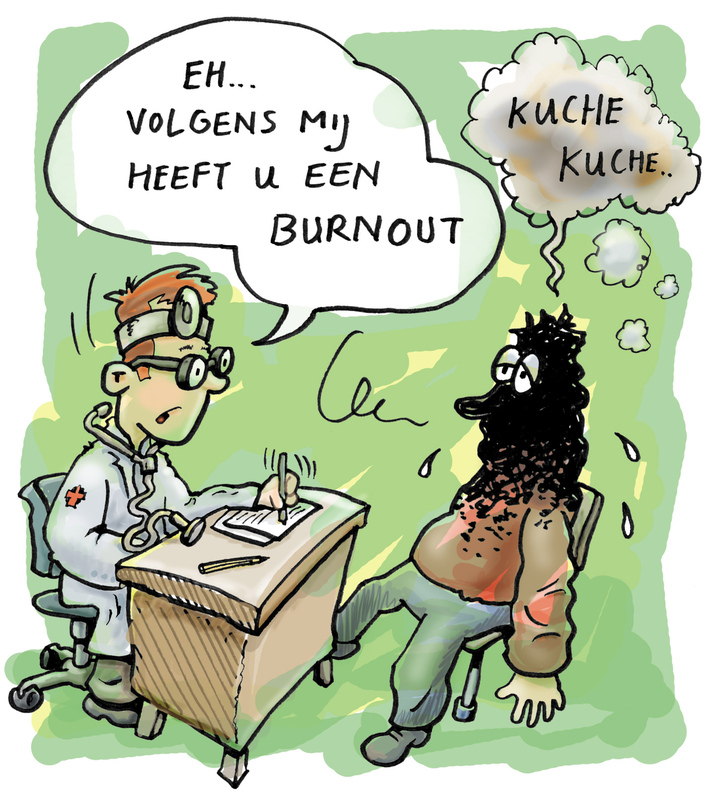 Cartoon of a patient consulting a doctor about a burn-out (Dutch -- "You are having a burnout. "), April 17, 2008. (Welleman via Wikipedia). In public domain. It’s a word I rarely admit to. One that I usually notice signs of, but try to work through anyway. But as I’ve learned over the years, I’ve needed to acknowledge and understand my burnouts before moving forward and avoiding the conditions that produced it in the first place. My first experience with burnout was my sophomore year of high school in June ’85. It came after three solid months of applying my memorization skills (some would say near-photograph memory skills) full-time, without the time and space to study at 616 or the support of good teachers that year, especially in Chemistry with the not-so-great Mr. Lewis. That, and no food at home during finals/Regents exams week made me actually sick of school for the first time (see my “Hunger” post from June ’08). I went through something similar in late November and December ’89, the end of the first half of my junior year at Pitt. I had put together what I called a “total semester” plan for the first time, to organize my life so that I’d have a life outside of my classes and to take a shot at a 4.0 that semester. Only, I was dumb enough to take third-semester calculus a year and a half after my last math course, and I was now a history major taking writing intensive courses. That, and finding out that one of my closest female friends was attracted to another, much shorter guy — also a friend of mine — meant for a rocky last three weeks of ’89. And I’d unwittingly helped to set them up. I managed a 2.98 GPA that terrible semester, including a D+ in multiple integrals and differential equations. Terrible, at least by my own standards. 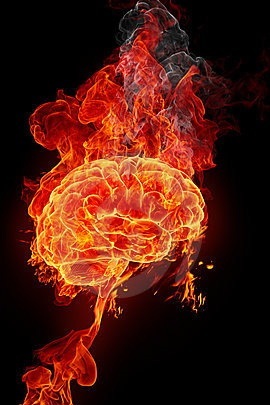 Burning Brain (cropped), January 16, 2012. (Selestron76 via http://dreamstime.com). Qualifies as fair use under US Copyright laws. I was beginning to understand that my occasional burnout wasn’t just because of school or work, but because some area of my life had caused me significant emotional turmoil, which in turn affected my performance in other areas. The period between December ’96 and September ’98 was a long period of burnout for me. I have written here before about my battles with Joe Trotter and Carnegie Mellon as I completed my dissertation at the end of ’96 — too many times for some people’s tastes. What I haven’t discussed is the emotional toll that process took on me and how long it took for me to recover. I spent most of ’97 and ’98 angry, raging ready to actually strangle most of the folks on Carnegie Mellon’s campus after finishing the degree. I couldn’t look at Trotter without wanting to wrap piano wire around his throat from behind and feeling him squirm as I cut the life out of him. Yeah, it was bad. As my now wife of twelve years can attest, I’d get into arguments with cashiers at CVS over a nickel and their complete disdain for their duties, ready to throw a punch. But I also couldn’t write, at least write in the ways in which I wanted. I could execute the mechanical exercise of writing well enough, even put together papers for presentation and articles for publication. I even wrote an editorial on race with my then girlfriend that was published in the Pittsburgh Post-Gazette in March ’98. Still, I was writing mostly because I didn’t believe in writer’s block or in burnout, this despite all the contrary evidence. Add the fact that I’d learned that my own mother was actually jealous of me for going to school, among other things (see “My Post-Doctoral Life” post from May ’08). I was burned out, a sad person to be around for most of ’97 and a good portion of ’98. All while I was an underemployed adjunct professor at Duquesne and working part-time at Carnegie Library of Pittsburgh. I’m not sure how Angelia put up with me, because it was hard for me to put up with me. So, how did I pull out of my burnout? Time after the doctorate, away from Carnegie Mellon (I didn’t set foot on the campus for nearly two years after I cleaned out my cubicle in July ’97), for starters. Having people in my life who needed me to be me at my best, like Angelia and my Duquesne students, for instance, helped. 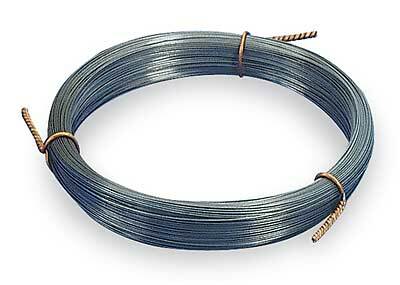 Spool of piano wire, with 247 ft-lbs of torque (enough to kill), January 16, 2012. (http://http://www.monumentalelevatorsupply.com). over by a PA-Transit bus for a potential job opening was also a great motivator. I realized that despite everything, I’d gained more than I lost in earning my doctorate, and that I may yet find my better self again by putting those roiling emotions in a box in my mind’s attic. I’ve felt burnout since. In a family intervention from a decade ago, in moving on from New Voices, even in my current context as consultant and professor. At least I’m more aware when I’m feeling that way, and am able to cope with those emotions with reminders of what and whom I have in my life that remains true and good.